Tualatin Valley Fire And Rescue, along with the Oregon City Police Department, assisted Clackamas Fire, which is investigating the incident as stemming from an illegal marijuana operation producing butane hash oil. At 9:25 a.m. on Jan. 6, multiple 911 calls reported a fire at 220 Molalla Ave. in Oregon City. The fire was contained to the second story, and no injuries were reported. Tualatin Valley Fire And Rescue, along with the Oregon City Police Department, assisted with the fire, which is being investigated as an illegal marijuana operation producing butane hash oil. During the fire, firefighters located what they believed was an illegal marijuana operation being conducted inside the commercial building and notified OCPD of their findings. Cannabinoid extract is defined by state law as "a substance obtained by separating cannabinoids from marijuana by: A chemical extraction process using a hydrocarbon-based solvent, such as butane, hexane or propane." Under investigation are the crimes of unlawful manufacture of marijuana (ORS 475.856), a Class B felony; unlawful possession of marijuana (ORS 475.864), a Class C felony; and reckless burning (ORS 164.335), a Class A misdemeanor. While executing a search warrant, OCPD said it seized a large amount of marijuana, cannabinoid extract and evidence of the unlawful manufacture of marijuana, specifically butane hash oil (BHO). BHO is commonly called, shatter, wax glass, budder, honey oil, live resin, and dabs. Although persons of interest have been identified, OCPD Captain Shaun Davis said hese names will not be release at this time, due to the ongoing investigation. Fire and police officials want the public to know that BHO extractions are extremely dangerous. "Butane is highly volatile and can ignite easily," Davis said. "To ignite butane it takes a minimal ignition source like static electricity. Using butane in the extraction process can lead to a high concentration of volatile gas in the area where this extraction is being done. 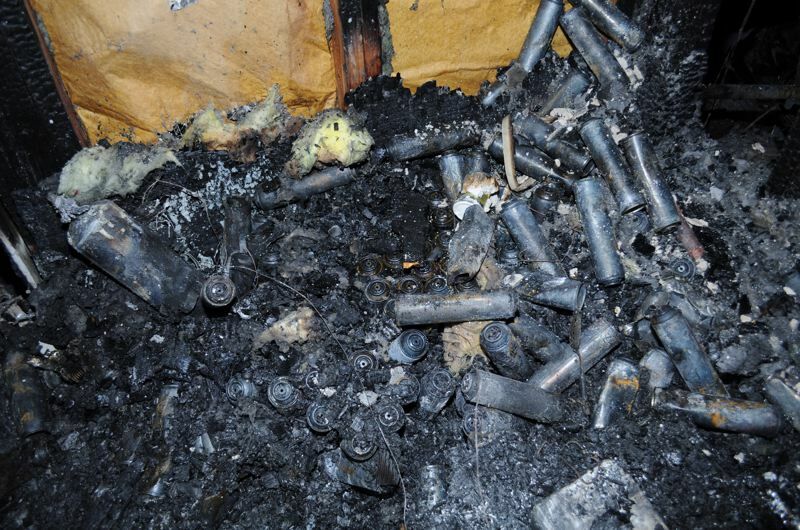 Concentrations of butane inside a building or in a confined space, if ignited can cause an explosion and/or fire which can cause serious injury to include burns and also death." 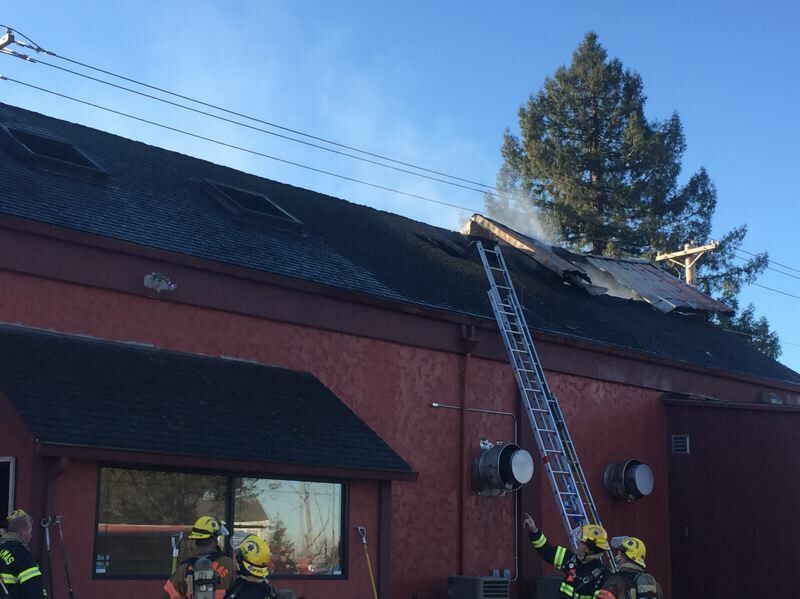 On Jan. 6, Clackamas Fire District crews quickly arrived and found a large amount of fire and smoke coming from the second story of a commercial building. 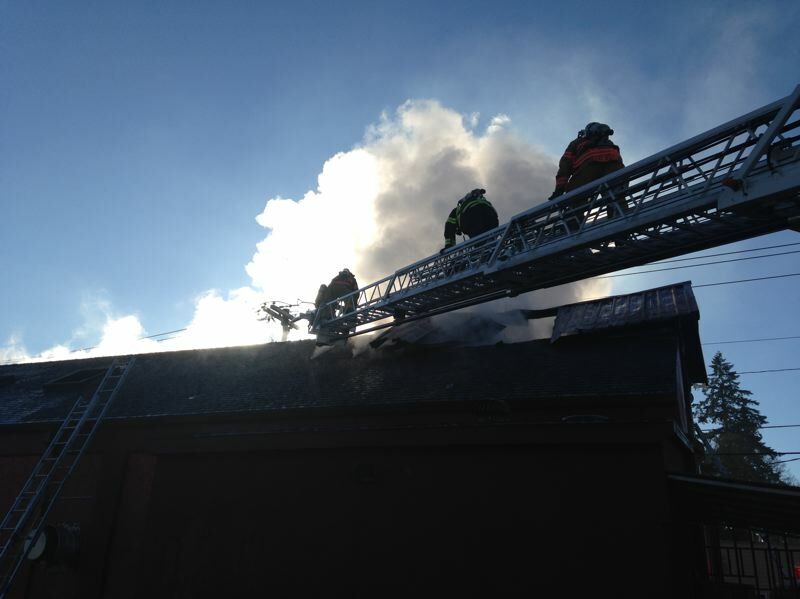 They immediately went to work gaining access to the structure while the truck company went to the roof to ventilate. Other crews arrived, found the interior stairway, and were able to contain the fire. Crews remained on scene throughout the morning performing salvage operations on the first floor. Since temperatures were below freezing while firefighters were spraying the building with water, they took steps to keep it from turning to a sheet of dangerous ice around the building.